Also known as zilla774, Ian Field Richards is the director of the User Interface Department for DeviantART.com, the world’s largest online art community and the source of most of the art you’ll find on this blog. 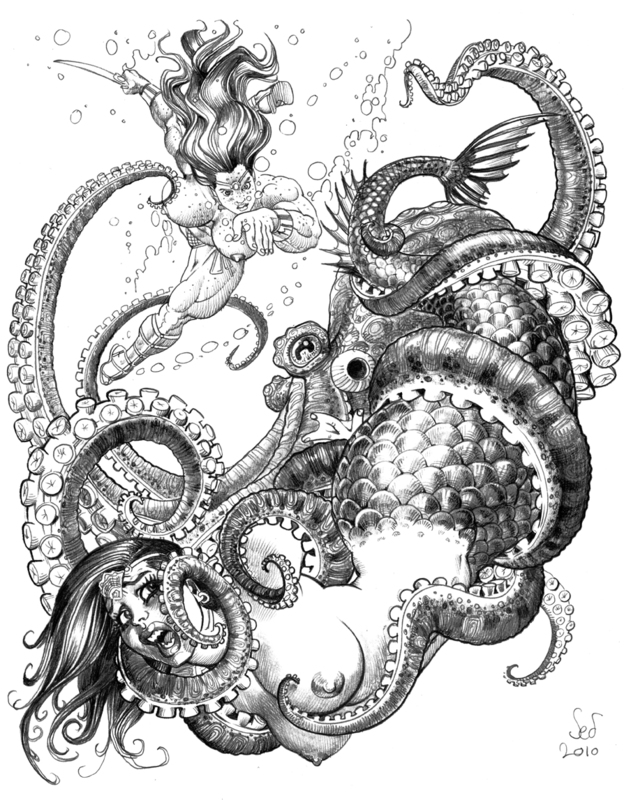 He creates fantasy and horror-themed art when he isn’t writing code and ruling teh internets. Jebriodo can work miracles with pencil and ink. This is one of them. The artist specializes in big girls. As in, muscular-as-hell, or just large-and-lovely. A win/win, in my opinion.